The Capuchin Friars first arrived in Kilkenny in 1643 after their house in Mullingar had been burned down. On their arrival they stayed in a rented house near St. Caince’s Cathedral. The Bishop of Ossory, Dr David Rothe, subsequently gave them charge of one of the chapels in the cathedral. The Capuchins withdrew from Kilkenny in the mid-eighteenth century but a community was reinstated there in the 1770s. The Capuchins established a Friary in an alms house known as ‘The Poor House Chapel’ on Walkin Street (later called Friary Street). The site of the ‘Poor House’ is covered by a wing of the Friary which runs at right angles along Walkin Street towards Pennyfeather Lane. In 1848 the present Friary Church was built on the site. The friars provide services to the people of Kilkenny city and county and also to other parts of the country. In particular, people come to the Church for Mass, for the Sacrament of reconciliation, or a period of quiet prayer. In addition there are prayer groups of various kinds, and meetings of the Secular Franciscan Order. 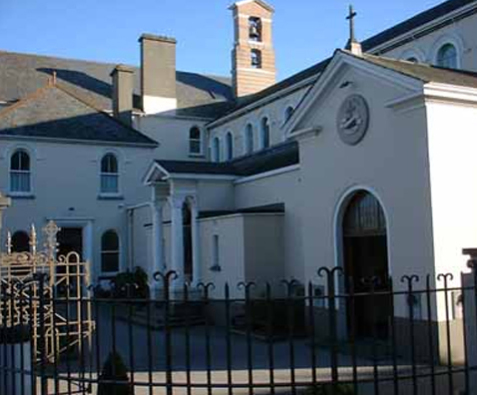 The friars undertake chaplaincy work in St. Luke’s Hospital, Kilkenny, and give missions and retreats around the country. 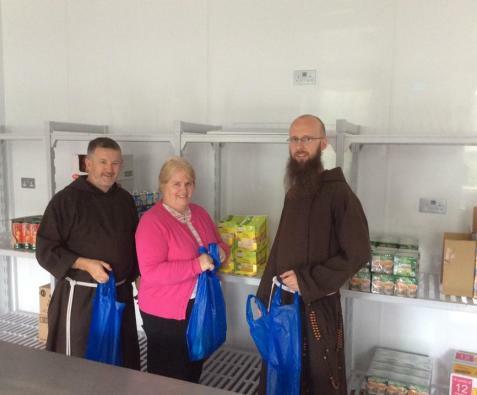 In 2014 we began the Friary Food Project which provides food parcels to poor and homeless in Kilkenny each Tuesday from 10.00am to 1.00pm. Click HERE to see a short video about the Friary Food Project. Daily: 10.00am – 11.30am & 2.30pm – 3.30pm. Also available on request outside of these times. Every Tuesday after 10.30am Mass. Last Monday of the Month at 10.30am. Every Tuesday between 11.00am and 1.00pm.